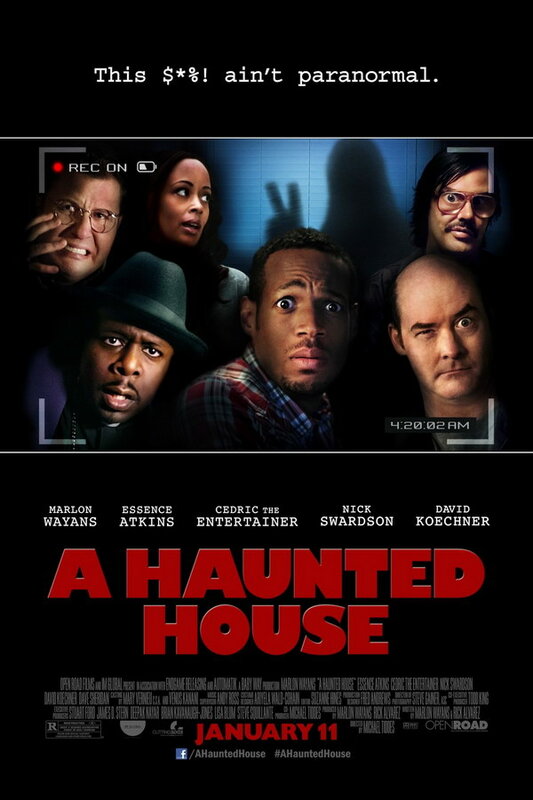 A Haunted House font here refers to the font used in the poster title of A Haunted House, which is a 2013 comedy horror spoof movie that tells the story of a married couple, who move into a haunted house and one of them ends up possessed by spirits there. The font used for the movie title in the poster is very similar to Gill Sans Ultra Bold, which is a commercial font designed by Eric Gill in 1931. You can view more details and purchase the font here. In addition to A Haunted House, Gill Sans typeface is also used in the following logos, movie posters or album covers etc., including: Mr. Popper’s Penguins, Shallow Hal, Dodgeball, Saab, Happy-Go-Lucky, Martin, United Express, Bruce Almighty (film), When in Rome, Frequency, Christmas with the Kranks, The King’s Speech, Great Clips Logo, ARM, Me, Myself & Irene.